How many of the special girls in your life have American Girl dolls, or 18" dolls of some kind? Have you ever priced the clothes for them? Outrageous, huh? My daughter Abbey and I were so excited to learn to sew doll clothes and to be selected to review Rosie's Doll Clothes Patterns and the Learn How to Make Doll Clothes Video Course with 8 Free Doll Clothes Pattern program. Let me tell you more. . .
Rosie is a beautiful stay-at-home mom who lives in Australia, and grew up sewing. When her daughter was born and started receiving dolls as Christmas presents, the retail price of the doll clothes quickly inspired Rosie to start sewing her own doll clothes for her daughter. She soon discovered that sewing clothes for an 18" doll is a bit different than sewing adult clothes. She has done all the hard work for us, and is sharing her doll clothes sewing tips and tricks with us to make it extremely easy to learn, regardless of your ability level. The course has over 130 videos that take you through everything you will need to know about sewing doll clothes. 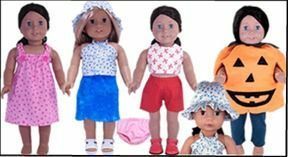 The course is designed to give you everything you need, including wonderful tips and troubleshooting information, to make doll clothes for 18" dolls like American Girl, and 18.5" dolls like Cabbage Patch. She also offers tips on how to adjust the patterns for other size dolls such as Bitty Baby and My Twinn. Rosie does not assume that you know anything at all, so she gently walks you through each step. If you have little or no sewing experience and just not sure how to teach your little one to even turn on the machine, I encourage you to watch all the beginning videos that discuss learning your machine and which tools work the best for this size of clothing. The camera work is wonderful, as the videos simply show Rosie's beautiful hands (they are!) and her sewing machine working on each piece of clothing. We hear Rosie's voice over each video, guiding us step by step through each phase of the process. Most of the patterns include about 18 videos/steps, but they are broken down into 3 - 4 minute videos, so you nor your child will get overwhelmed with too much information per step. You can pause and catch up when needed, and can watch them as often as needed. Each pattern comes as a PDF that you download and print off. (There are even instructions on how to adjust it if your measurements are incorrect once it comes off the printer.) Each pattern also includes written instructions and step-by-step videos. 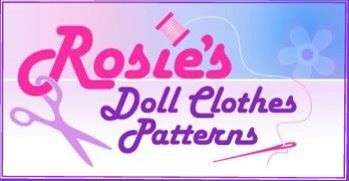 Each tutorial video is viewed directly from the Rosie's Doll Clothes Pattern website, but you can also order DVDs for viewing without an internet connection. Beyond the patterns that we were privileged to review, Rosie offers a ton of other patterns, all averaging about $10 each. Check some of the great patterns here. And one of my favorite parts about Rosie's site is her blog, where she shares customers' photos and extra tips and tricks. What are the recommended ages and the cost of the program? This program is recommended for ages 8 and up, and the Learn How to Make Doll Clothes Tutorials plus the bonus 8 patterns above are $47.46. (Because of the exchange rate being a bit fluid, that price is subject to change). That is a wonderful value if you were only getting the patterns, but you also get over 130 videos! PLEASE NOTE: From now until midnight on the 24th December, 2013 when you purchase Rosie's How to Make Doll Clothes video course, she is giving away an additional pattern of your choice, absolutely free! That's 9 FREE patterns with the course! How did we learn from it? My daughter is 10 years old, and has been itching to learn to sew on a "real" machine for a couple of years now. I mistakenly bought her a toy sewing machine a couple of years ago, but it was so frustrating, she quickly stopped trying. So being chosen to review Rosie's Doll Clothes Patterns came at the perfect time. I have been sewing since I was Abbey's age, so I was very familiar with the machine and the recommended tools Rosie offered. We watched some of the tutorial videos though, because Abbey learns well from others, and I knew she and I both would benefit from learning how sewing doll clothes differs from sewing adult clothes. The recommended tools like the rotary cutter, the cutting board, the sewing gauge, and the looper (or, "loopah," as Rosie's says so cutely) were not something we owned, so we had a ton of fun shopping for them, and they really did make our lives easier. We found some fabric fat quarters (1/4 yd) at our local store for only $.97, and the prints were so sweet. You can just as easily use scraps of material or old shirts laying around your house for these projects. I wanted Abbey to take complete ownership of the doll clothes, so I had her do every step herself (with the exception of pressing the items; she was scared of being burned.) I sat with her during each session, and supervised and helped only when she couldn't get something started or needed extra help. We simply set the laptop up next the sewing machine so we could watch and sew right along with Rosie as we worked. Abbey loved the process, and was so excited to see the clothes come together so quickly. We were both very sick for a couple of weeks, and then we got a newborn foster baby to care for that has slowed us down a bit, but Abbey has started sewing full force now, and is on her third pattern in the series. She has shown anyone and everyone who comes to house what she has accomplished! We had so much fun together sharing this experience, and Abbey has now learned a wonderful skill that is really a lost art among young people in this digital age. I can't recommend this program enough. I am looking forward to ordering more of the patterns, as Abbey has her eye on the "Funky Fur Jacket" pattern. Oh, I almost forgot. Go to Rosie's site and order the free video to get a feel for her style. That is definitely what hooked me and made me realize I just had to have this program. Ready to order? 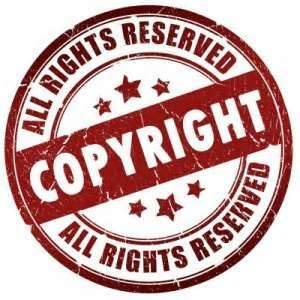 Click the logo below to go straight to Rosie's site. Want to see how other homeschooling families used this program over the last few weeks? Click the banner below! I really love to learn how to sew dolls clothes. I could really save much if I sew the clothes myself. And I guess watching these videos are a great start. Thanks for sharing them. What a cute website you have! I love it!